It seems the One Direction boys are spending most of their wages in the tattoo parlour! Louis Tomlinson has stepped out with an array of inkings covering his body - though he's still not got quite as many as Harry Styles and Zayn Malik. Will they live to regret them? We think so! 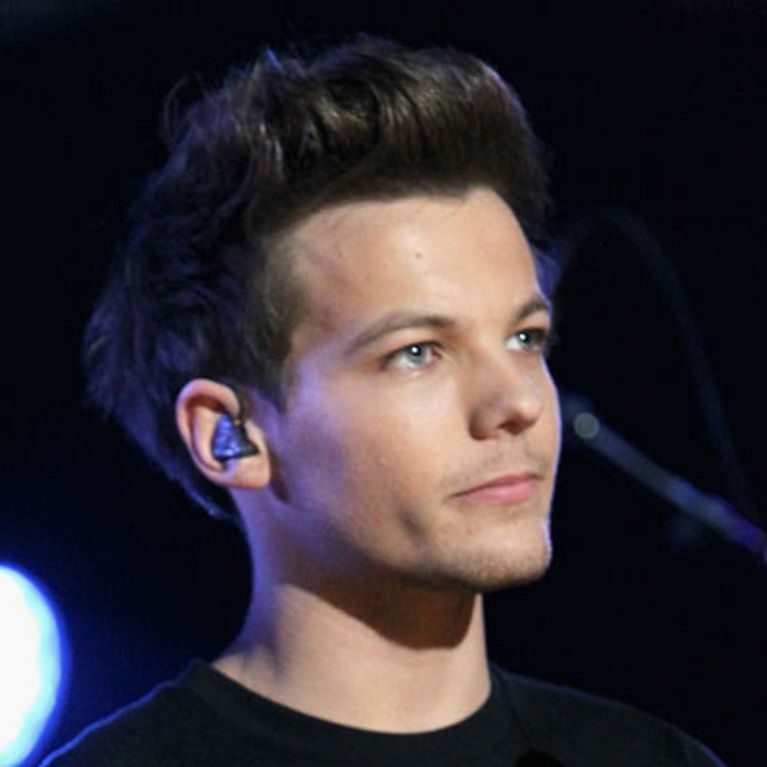 Louis Tomlinson is the latest member of One Direction to have been spending a lot of time in the tattoo parlour. The 21-year-old chose to expose his inked-up body in a white vest while playing football with bandmate Niall Horan. The pair were having a kick-around in Paris ahead of their gig in the city, entertaining their screaming crowds of admirers with their sporting skills. Louis kicked off his tattoo collection last year with a few less than impressive designs that included a stick man on a skateboard. He also had the word "oops" scribbled on the underneath of his forearm, as well as a compass and a cup of tea. Louis also recently revealed a large inking of script across his chest and a huge bird on the top of his right forearm. His other tatts include the word "The" on his right ankle and "Rogue" on his left, which is said to be a tribute to his old band. And now Louis has extended his collection to a huge design of a stag on his bicep. And his image transformation doesn’t stop there - Louis was displaying super-muscly arms during the kick-about and has clearly been hitting the gym in his spare time. Louis' bandmates Zayn Malik, 20, and Harry Styles, 19, also have impressive collections of bizarre tattoos. Zayn's body ink includes the word "Zap!" in huge writing on his arm, a microphone and a playing card. While Harry has gone tattoo crazy with designs including a ship on his arm, birds on his chest and a star on his bicep. On the other hand, 19-year-old Liam Payne's collection of body art is much more modest, while Niall, 19, is yet to go under the needle. But One Direction's love of tattoos landed them in hot water back in March, when they asked their fans on social media sites to submit photos and footage of their body art. The band were accused of encouraging their young followers - many of whom are under the legal age of 18 - to get tattoos to impress them. The controversial tweet and Facebook post were therefore quickly removed. The band's spokesperson, Simon Jones, said: "This tweet was posted in error and has now been removed. "One Direction do not want to encourage any of their fans to get 1D tattoos."